Hyundai Heavy Industries is the world's largest diesel engine builder. In Marine Sector HHI produces approximately 35% global market horse power. See section "MAN / MAN B&W" with MAN Diesel & Turbo licensed 2-stroke and 4-stroke engine. 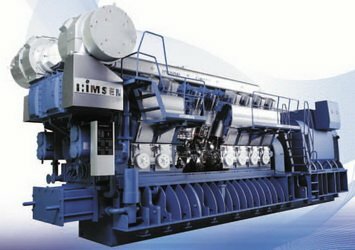 See section "WARTSILA / SULZER" with WARTSILA licensed 2-stroke and 4-stroke engine. See sections ISUZU, KUBOTA, YANMAR, MITSUBISHI, IVECO with diesel engines for HHI Construction Equipment. "SEN" means "strong" in Korean. Write to brovertek@gmail.com and ask Operation & Service manuals and Parts Catalogs. 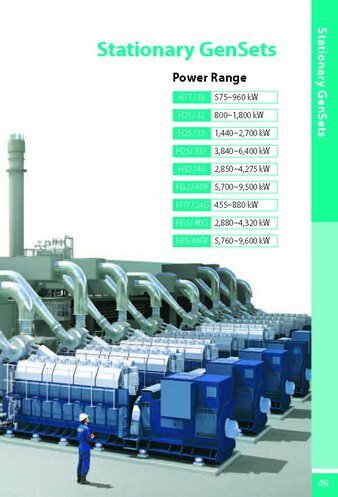 203010 HYUNDAI HIMSEN HYUNDAI HIMSEN diesel generator for Marine and Offshore application Catalog. Free download. 203011 HYUNDAI HIMSEN HYUNDAI HIMSEN prupulsion engine Catalog. Free download. 203012 HYUNDAI HIMSEN HYUNDAI HIMSEN diesel generator for Stationary application Catalog. Free download. 203020 HYUNDAI HIMSEN HYUNDAI-HIMSEN Diesel Engines Programme 2010. Free download. 203021 HYUNDAI HIMSEN HYUNDAI-HIMSEN Diesel Engines Programme 2011. Free download. 203022 HYUNDAI HIMSEN HYUNDAI-HIMSEN Diesel Engines Programme 2012. Free download. 203101 H17/28V HYUNDAI HIMSEN diesel engine H17/28V - Data Catalog. Free download. 203102 H17/28 HYUNDAI HIMSEN diesel engine H17/28 Set of Service Letters. Write and ask. It is Free. 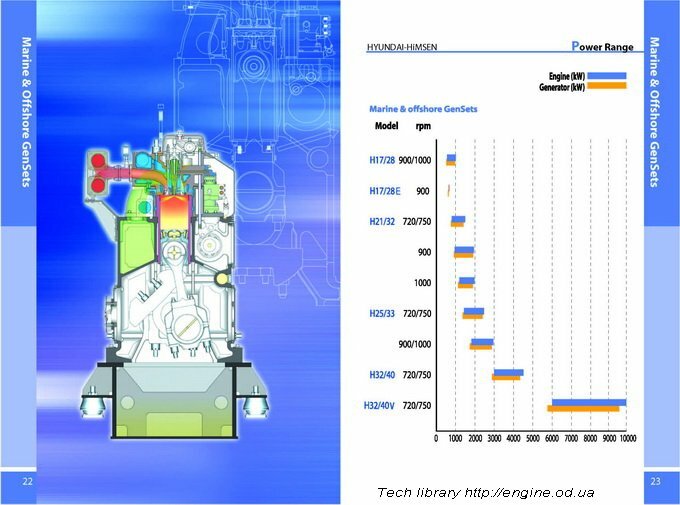 203103 H17/28E H17/28U HYUNDAI HIMSEN diesel engine H17/28U(E) Data Catalog. Free download. 203202 H21/32 HYUNDAI HIMSEN diesel engine H21/32 Set of Service Letters. Write and ask. It is Free. 203301 H25/33V HYUNDAI HIMSEN diesel engine H25/33V Data Catalog. Free download. 203302 H25/33 HYUNDAI HIMSEN diesel engine H25/33 Set of Service Letters. Write and ask. It is Free. 203401 H32/40V HYUNDAI HIMSEN diesel engine H32/40V Data Catalog. Free download. 203402 H32/40 HYUNDAI HIMSEN diesel engine H32/40 Set of Service Letters. Write and ask. It is Free. 203501 H46/60V HYUNDAI HIMSEN diesel engine H46/60V Data Catalog. Free download. 206180 2.0L 2007-2009 Emission Certified LPG & Bi-Fuel System 2.0L Engine Service Manual.